This is an outfit that kind of came around by accident (aren't those ones the best?) when I was getting ready for work one morning and found that tucking the back of my jumper into my skirt created a lumpy bulge that was not cute. Luckily, this jumper has slits down either side so I left the back out and ended up with a nice bit of layering (and you know I love my layers). 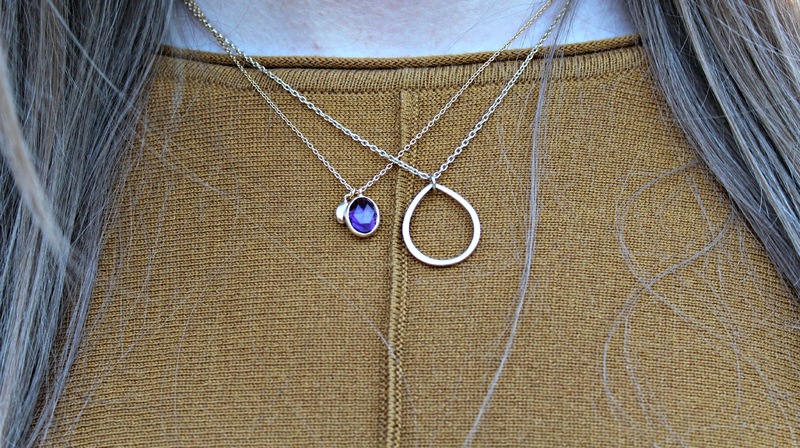 Talking of which, I've been wearing these gold necklaces together quite a lot recently - I like that they're both really delicate and have similar shapes and add a bit of something extra to an outfit. It's definitely a good way to avoid that bumpy, bunched up look! I would never have thought to style it like this but absolutely love it! The leather pencil skirt is gorgeous! Got a soft spot for leather! Me too, I can't get enough of leather!